It’s that time of year again when you are trying to figure just what to give Dad. This becomes a really easy decision, if you simply go the gift card route, but it is rather impersonal to say the least. 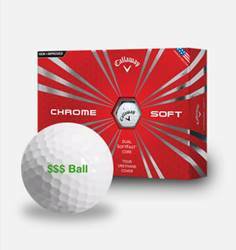 Now through June 30th, Callaway is offering free personalization on The New Chrome Soft Golf Balls (white and yellow) online and in retail stores across the country. 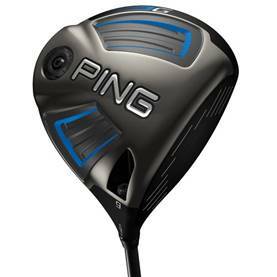 Last year PING had the best-selling driver in the G30 model. This year, their new PING G has attracted a new set of devotees to the PING clan. What the G driver offers is what every golfer desires – faster club head and ball speed. Using proprietary Turbulator Technology, VorTec and face/crown transition to combine for more efficient air flow, there is definitely a noticeable difference over the G30 version – all good. The T9S Titanium face is thinner and hotter for maximum distance and deflection. The club’s adjustability with its 5-lobe hosel sleeve, allows ±1 degree of loft adjustment. Another improvement is the DragonFly Technology – ultra-thin crown sections save 8 grams of weight to optimize CG (Center of Gravity) and MOI (Moment of Inertia) – making the G one of the most forgiving and consistent drivers on the market currently. The aesthetics of the club and speed generating aerodynamics that reduce drag 37% and increase carry distance 3-4 yards are additional attributes, all of which make this driver one of the most sought after in a crowded field. Available in 9° and 10.5° lofts with a TOUR 65 shaft, though other shaft options are available. To fine-tune your launch conditions prior to a round, adjust the loft up to ±1° using Trajectory Tuning 2.0, which utilizes a lightweight, aerodynamically efficient and high-strength 7075 aluminum hosel sleeve. 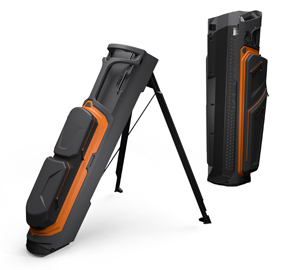 The KLVN bag is the world’s first combination golf bag, featuring a durable cart bag with a deployable lightweight walking bag in a single, streamlined design. Golfers can ride with the cart bag and eject a lightweight walking bag with a simple push of a button. The KLVN bag has a multi-point cart strap system, ensuring the bag remains secure and upright while riding. One-Touch removable, customizable pockets allow golfers to completely change the look and functionality of their bags. The bag also features concealed rubberized wheels and is constructed from a core of lightweight, high-density, injection-molded plastic. Dad can always use a new set of irons. 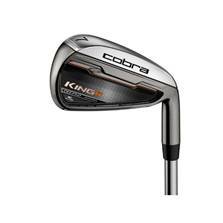 These new Cobra irons are selling well because they perform, are aesthetically pleasing and very user friendly, plus they have a great price. The award-winning KING F6 irons are designed for distance, with forgiveness, feel and control. Delivered in a classic head shape for superior confidence in every shot. The KING F6 irons reinvent set construction, giving golfers the ultimate progressive set, engineered with COBRA’s new TECFLO system. The TECFLO system (Technology Enhanced Cavity Feel Launch Optimization) is the combination of multiple technologies and advanced constructions creating a progressive iron set designed to optimize the performance of every iron. In order to achieve optimal performance on shots, the F6 iron set is engineered with four different iron constructions. Long irons (3i-5i) are comprised of a full hollow construction, mid irons (6i-7i) are half hollow construction and the short irons (8i-PW) feature a deep undercut cavity-back design, while the wedges (GW-SW) feature a specialty muscle back shape and tour contoured sole. $799 (4-Gap Wedge). www.cobragolf.com . Golf Pride is the most used grip on the professio nal tours for a reason – the quality, the feel and performance is unequaled! Their new putter grips are excellent in every respect. Golf Pride’s new oversized TOUR SNSR putter grip series features a soft-tuned rubber formulation that gives these grips an extraordinary feel, and encourages a lighter grip pressure that golfers seek in creating a smooth stroke. The new SNSR compound also enhances Tour-level feedback into the hands to improve player distance control. Players can dial in the feel that fits them best with two Tour proven shapes, the TOUR SNSR CONTOUR (pistol) and the TOUR SNSR STRAIGHT (non-tapered). You can’t go wrong giving Dad a great shirt for Father’s Day! 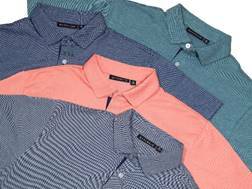 Devereux who entered the golf market a few years back, has become one of the most sought after high-end shirts. Their quality and design are excellent. They wear well, look great and feel marvelous. The Andrew Polo is a beautiful lightweight oxford pique that has a heather effect and consists of 60% Polyester and 40% Pima Cotton. The Andrew is a uniquely crafted shirt that was designed with “Swing-Free Tailoring” for optimum on-course performance and a stylish look off-course. The distinctive seams on this shirt allow for a golfer to complete a full turn without motion being restricted by side seams. The Andrew is available in Aqua, Coral, Navy and Steel. Biion is a shoe for the Tastemakers, the Trailblazers, the Trendsetters, and the Influencers; made for the person brave enough to break away from the norm and play by their own rules. Biion’s Footwear’s ultra-light, ultra-flexible Ethylene-Vinyl Acetate (EVA) material composes each Biion shoe keeping you light on your feet throughout your day. EVA’s Nano-molecular structure also provides an effect of smoothness and gives a consistently comfortable fit. Biion’s flexible, form-fitting EVA moves with your body with every step, giving you a connection to the ground like no other shoe. It’s the closest you’ll ever feel to walking in bare feet! 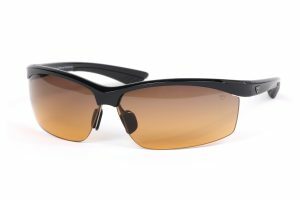 This distinctive line is unapologetically fashionable and features a color spectrum and performs like no other, which embodies the company motto, “Defiantly original designs.” There truly is “Nothing Like It”. 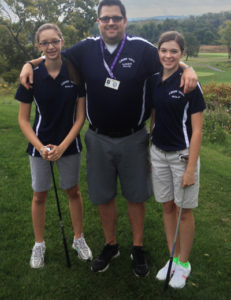 The shoes are really comfortable and can be used on and off the golf course. It is definitely a conversation starter! The TeeSquare Swing Training Aid. This little disc not only is an actual tee, but it is a golf improvement tool that works. When you’re set up over the ball, the disk of the Tee Square Swing Training Aid will be hidden by your ball. If you sway to one side or the other, or aren’t squarely positioned over the ball, the disk will be visible. This is a solution that almost every golfer would like to u se in their golf game. 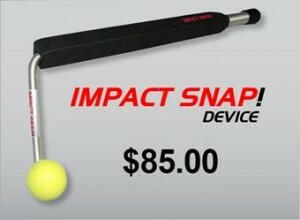 One of the better training aids that has come to market. All golfers envy the pro’s ability to incorporate the lag into their personal swing. Either they do not know how to do it, how it feels, or how to get help. The key to consistency is the impact position. Too many golfers are flipping and rolling, or casting. There are 3 distinct moves to get into a great impact position. It’s a lot to take in and understand. The Impact Snap training aid is the answer. The Buccaneer Head Cover by Daphne’s Head Covers. A great gift from a great company! Daphne’s Head Covers have 175 plus golf club covers in their line to choose from; including animals, super heroes and just for fun covers. Each cover is fully lined and elasticized to ensure a secure fit on your clubs. Their head covers are designed to protect your woods and putters, period. 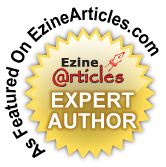 Each cover is guaranteed for life. Inside the label you will find Daphne’s factory phone number. Should you have any problems with your head cover, Daphne’s will fix it expeditiously. They are also happy to guide you to the golf shop in your area that carries Daphne’s Head Covers. As one can see, this year’s opportunities for gifting are excellent. 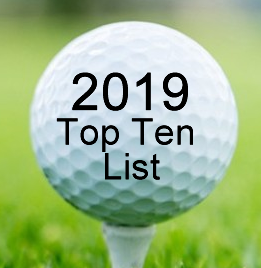 Dad will appreciate and welcome any of these products that are sure to enhance his golf experience. This entry was posted on Sunday, June 5th, 2016 at 6:01 pm and is filed under Golf Equipment Reviews. You can follow any responses to this entry through the RSS 2.0 feed. Both comments and pings are currently closed.